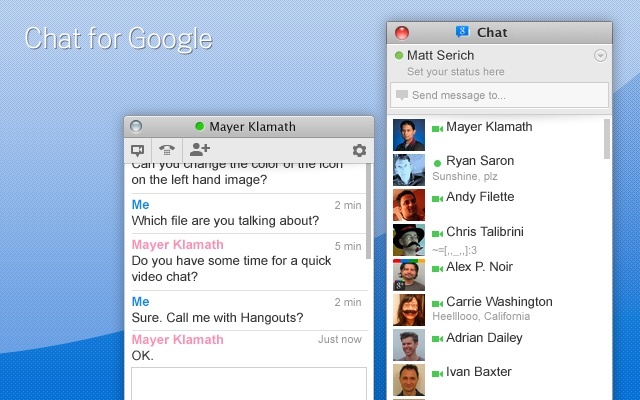 Using Google Chat, you can Chat with your friends and family on the internet anytime. Google chat is attached to the all Google Products like GMail, Google+.You can access the chat functions with in their products but if you want to use the Chat functionality as separate Interface, then you need Chat for Google, an official Chrome extension. This extension allows the user to separate the Google chat from the main Browser and you can use it like a another application in your desktop. you don’t need to programs to download. Just install the extension and start chatting. You will automatically see a list of your chat contacts displayed in the interface, First you need to sign in to Google chat then you could be able to chat with your friends.